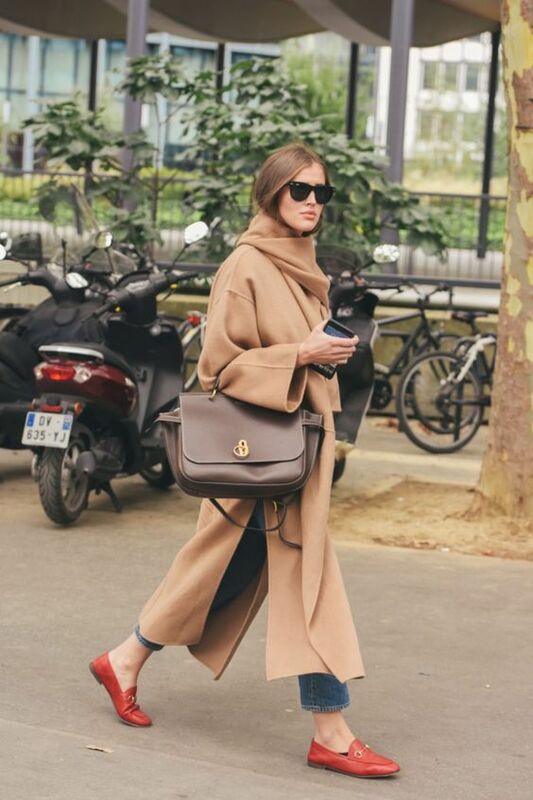 outfit of the day: camel with a pop of red — Pencil & Paper Co.
We spotted this image on Instagram recently- which pretty much sums up our perfect fall uniform!! And, we’re certain everyone needs these classic pieces in their cold weather wardrobe! We’ve rounded up several great camel coats here, here and here (we love the fur collar and it’s such a steal at $79.99). We live in cozy cashmere sweaters during cold weather and are obsessed with this sweatshirt style for $125, and this turtleneck style too- paired with our favorite chic jeans! Of course, it’s the accessories that make this outfit so eye catching- we think red shoes just make anything better and are currently crushing on the the perfect suede tassel flat, statement studded ballerinas and a great pair of mules plus we’ll be investing in a beautiful brown leather handbag this season like this, this or this.